Just a note that I will be cross-posting Observation of the Week blogs to both iNat's blog and to this project's journal. As Observation of the Week is pretty much always drawn from Observations of the Day, I think it makes sense. What do you all think? This peacock mantis shrimp, seen off of Mozambique by @jennykeeping, is our Observation of the Week! the peacock mantis shrimp is a common sighting in Tofo, Mozambique. Especially on our shallow (<16m) sites we have these colourful charismatic critters scurrying all over the reef and tucking themselves in to a hole, but curious enough to then poke their heads back out in this inquisitive pose, like has been captured in this photo. Despite their common name, mantis shrimps are technically not “shrimp” as we commonly think of them (which belong in the infraorder Caridea), but are part of a separate taxonomic group, the order Stomatopoda. Oh, and they’re also definitely not mantids. Not only do they have some of the most complex visual organs of any known creature, mantis shrimps use their forelimbs to strike prey with incredible speed, creating cavitation bubbles in the water! I could go on, but The Oatmeal has already, in cartoon form, famously shown how crazy awesome these creatures are, so check it out. 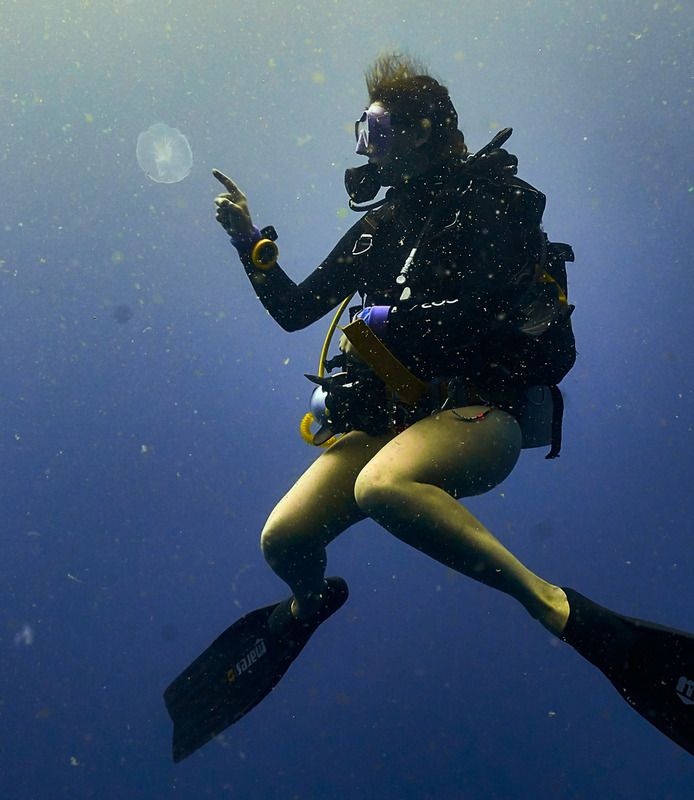 “I have been using iNaturalist to help in the identification of the marine creatures we see here in southern Mozambique, but I also enjoy the daily email updates to see what observations have been made, especially of stingrays, all over the world,” says Jenny (above, in her preferred environs). It is helping me to learn how to critically look at the identifying features of marine species, especially elasmobranchs and stingrays. There are such intricate details that can tell a species a part it's really a skill I admire in the ID pros in iNaturalist. I also then find myself using the interactive map a lot to explore species distributions, whilst also dreaming of my next diving destination! - by Tony Iwane. Photo of Jenny by Steven Scagnelli. 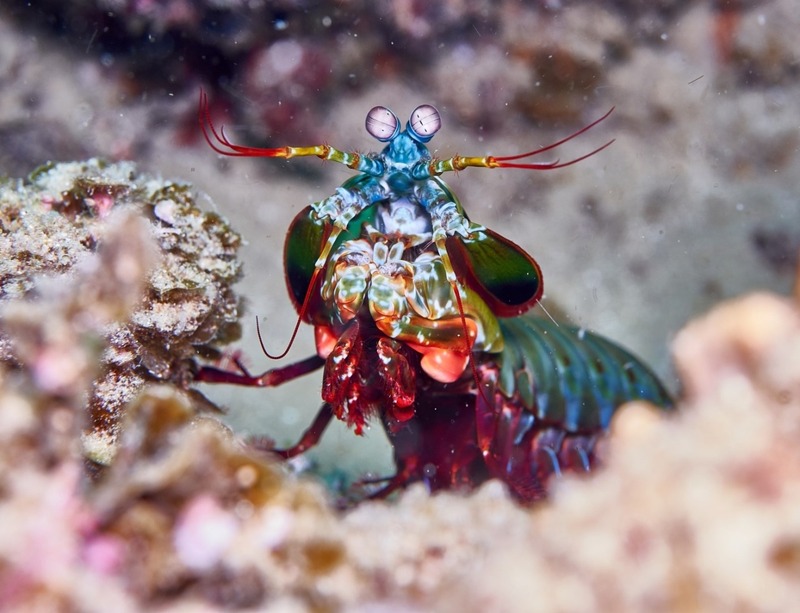 - How do mantis shrimps strike so quickly? Dr. Sheila Patek explains in a TED Talk. - BBC’s Earth Unplugged team tries to get slow motion footage of a mantis shrimp. Every day iNaturalist features a great observation on our social media outlets - Twitter, Facebook, and Instagram - to highlight the incredible scope and quality of our community's contributions.